Despite the Japanese rail network is extensive and efficient, long-distance journeys by bus are still resisting despite the much higher duration of time travel, targeting mainly to the "low cost market". Travelling by bus is in fact much more convenient than by train or plane. There are of course both daytime bus lines, and night bus lines. For a tourist, I advise against taking a daytime bus, as you would lose a lot of hours on the bus, and during a holiday wasting time is not a very good idea. So I generally recommend to prefer the train to the bus if you want to move during the day. As for the night buses, the benefits are numerous. Travelling by night bus means in fact to move around Japan almost for free. 1. The cost of the ticket for a night bus is definitely lower compared to a shinkansen or other long-distance train, and the difference is usually considerable. A train ticket can cost up to three times the price of a night bus ticket for the same route. 2. The night you have planned to take the night bus, you do not need to book any hotel because obviously you will spend the night on bus. So the price of the bus ticket is partially or fully "funded" by the money saved for the hotel. In addition, you will also save a lot of time, since you will move during the time you usually use for sleeping, that otherwise would be "wasted". Trains and airplanes, even if they are very fast, they make you lose several hours of the day. There are many bus companies in Japan, but unfortunately most of them are difficult to be used by tourists who do not know Japanese, and also on the internet it is difficult to find information. If you happen to know a little Japanese, you can try to take a look at these two portals to purchase tickets for various bus companies: Highwaybus.com or J-bus.co.jp. the Willer Express (the most foreign-friendly one), the JR, or the Keio (only from/to Mount Fuji, Nagano, Takayama and a few other places). 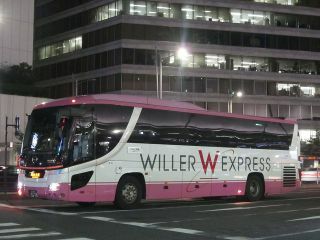 It is definitely the best bus company to get around Japan at low prices if you are foreign tourists. By using their website, also available in English, it is practically possible to do everything, look for timetables, book and pay by credit card (or directly in Japan in conbini stores). There are also detailed maps and descriptions about how to get to their bus stops in various cities, don't overlook this detail because their buses usually don't depart from the main bus stations, so finding the right stop could be a bit complicated. This company also offers a valuable tool to visit Japan spending really little money, the Japan Bus Pass. 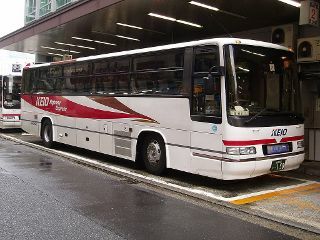 The JR (Japan Railways) also offers an extensive network of bus connections across the country through sub-companies by region (so there is the JR Kanto Bus, the JR Hokkaido Bus, the JR Chugoku Bus, etc..). Unfortunately there are no websites in English on the internet for the consultation of timetables and fares, and neither for booking. If you know a bit of Japanese, you can try to use the website Kakuyasubus.jp instead, a search and booking engine for all JR sub-companies. Until some time ago, the JR Kanto Bus (Kanto is the region of Tokyo) had a website with some information in English that could be reached at this web address, which at the moment is no longer available. I decided to leave, however, this link, in the hope that by the time you read this page, the site will have been reactivated. 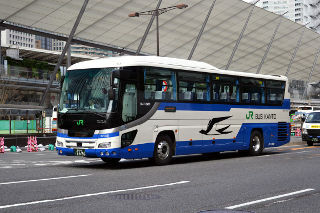 Finding information about and booking JR buses is thus possible only while you are in Japan. You can buy tickets at all major JR train stations, some of which sometimes offer information points for tourists with employees who speak English or other foreign languages. This company offers various connections mainly from Tokyo to various places of Japan. Using the English version of their web site you can make reservations for only a few lines: from Tokyo to Nagano, Hakuba and Matsumoto (Nagano area), to Mount Fuji and the nearby FujiQ Highiland theme park, and to Takayama, and from Nagoya to Kanazawa and Takayama. You can not pay online, payment must be made at the departure station before boarding the bus.